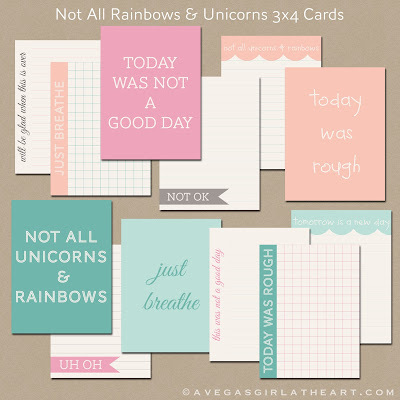 These cards are perfect for the not so great days. I wanted to keep the color palette light and pretty, and able to coordinate with some of my current Project Life kits. I did not want heavy, dark colors to go along with these "bad day" cards, but rather colors that would keep my mood light when I used them, even when I was writing about the heavy stuff. I hope you like them too! You can check them out here in my Etsy shop.